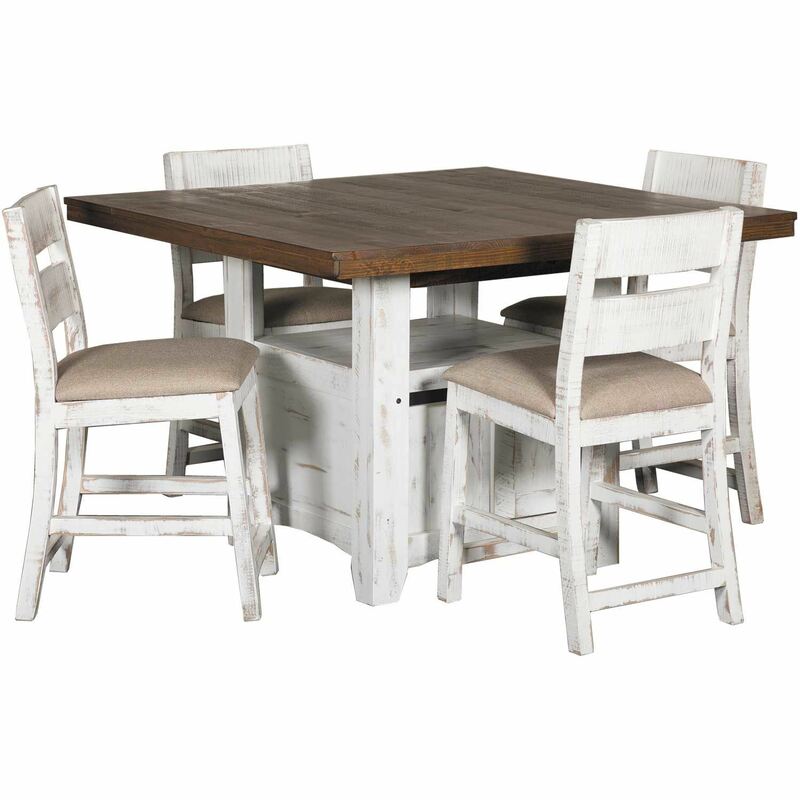 Bring home a cozy, vintage farmhouse feel with the Pueblo White Counter Height 5 Piece Set by IFD. 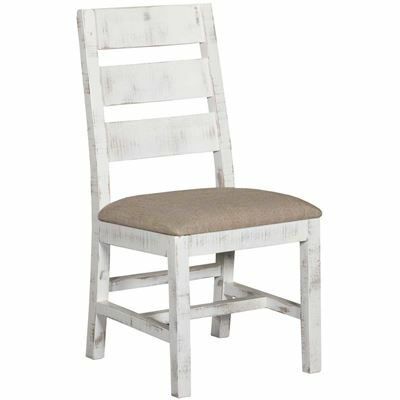 This set has rustic style with a hand-distressed, white finish on the table base and the chairs and a distressed brown table top for a look that captures the charm of an old barn. 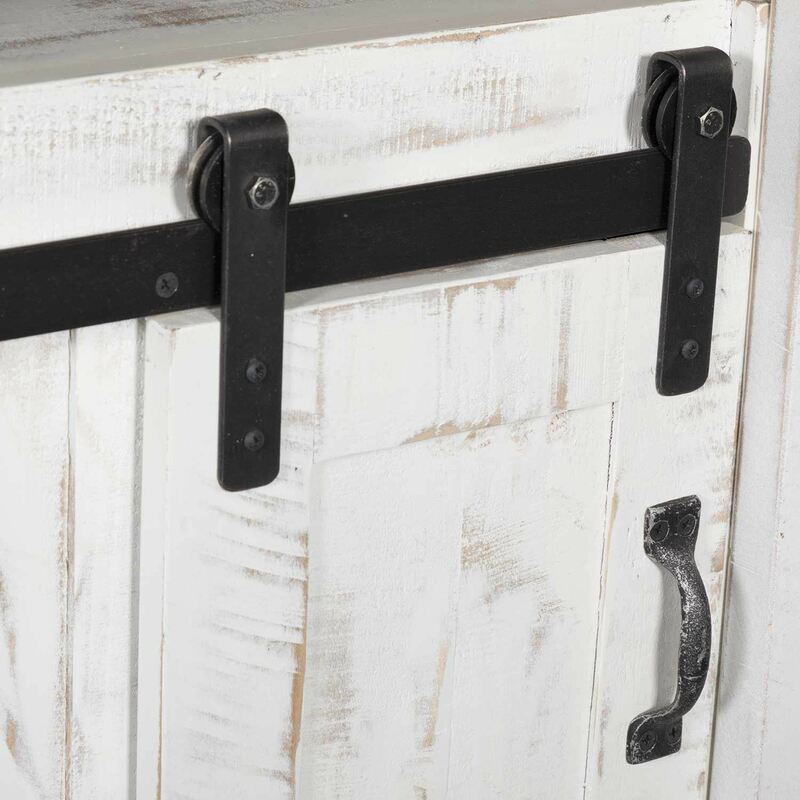 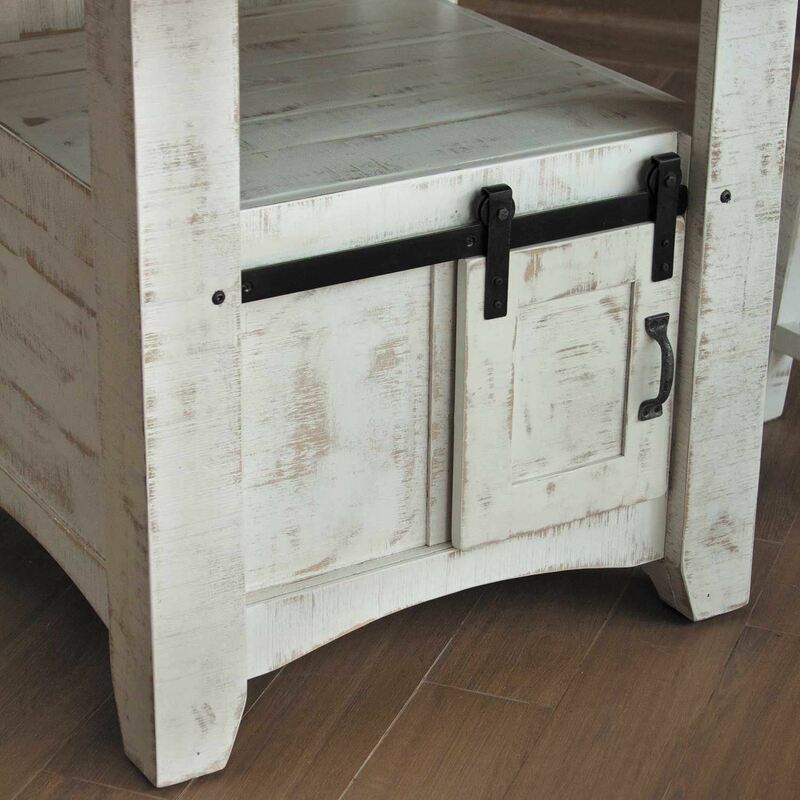 The table base features two sliding barn doors that open to reveal convenient storage. 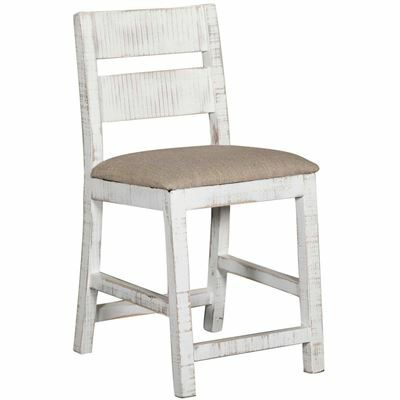 The 24” counter height stools have classic ladder backs and seats upholstered with a textured, beige polyester fabric. 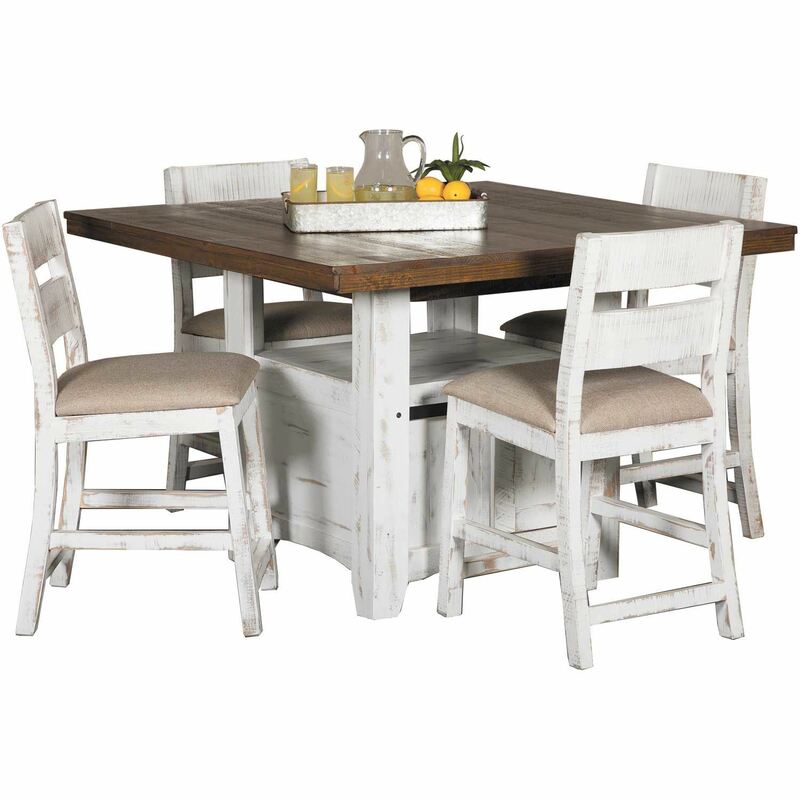 Bring home a cozy, vintage farmhouse feel with the Pueblo White Counter Height 5 Piece Set by IFD. 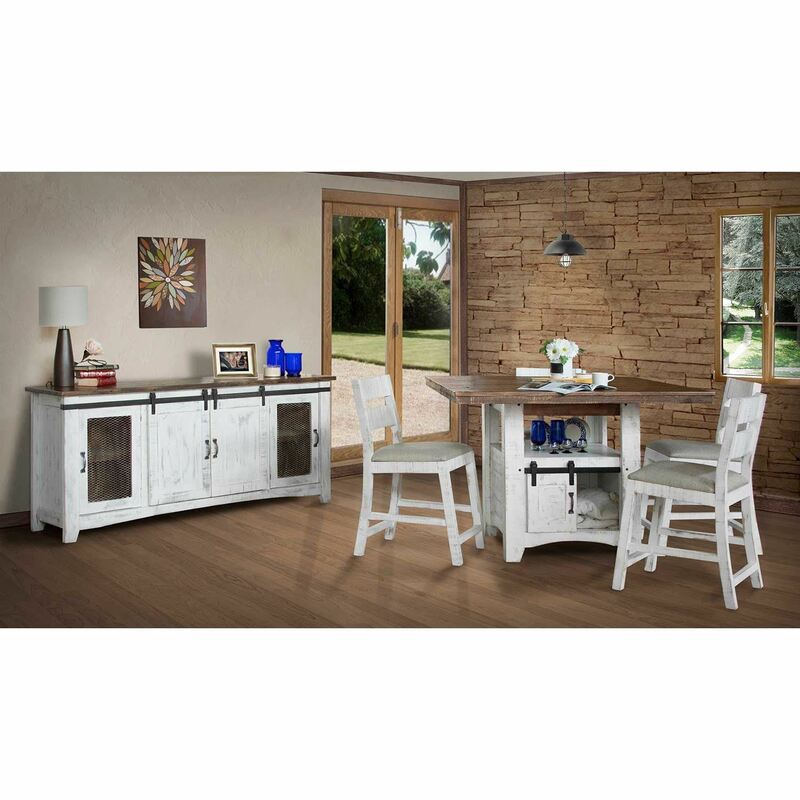 Pueblo White Counter Height 5 Piece Set by IFD. 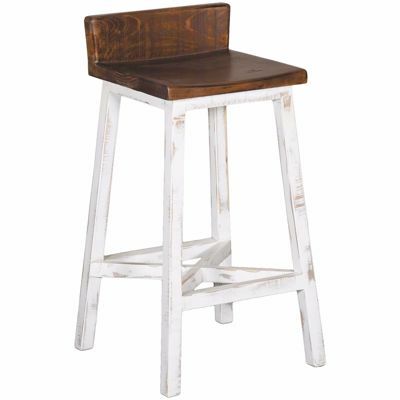 Includes table and 4 barstools. 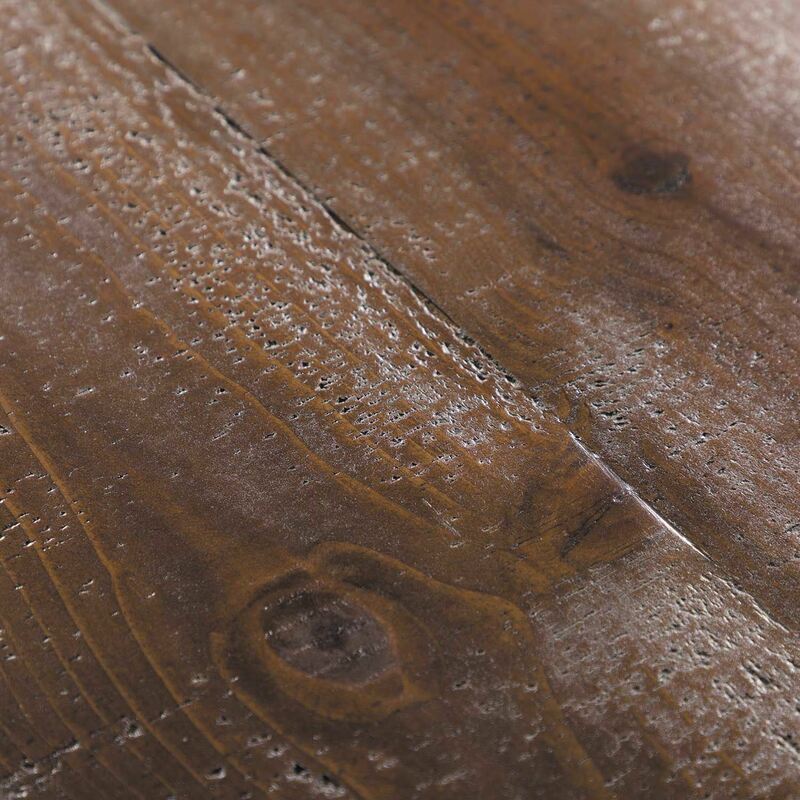 Featuring 100% solid pine construction. 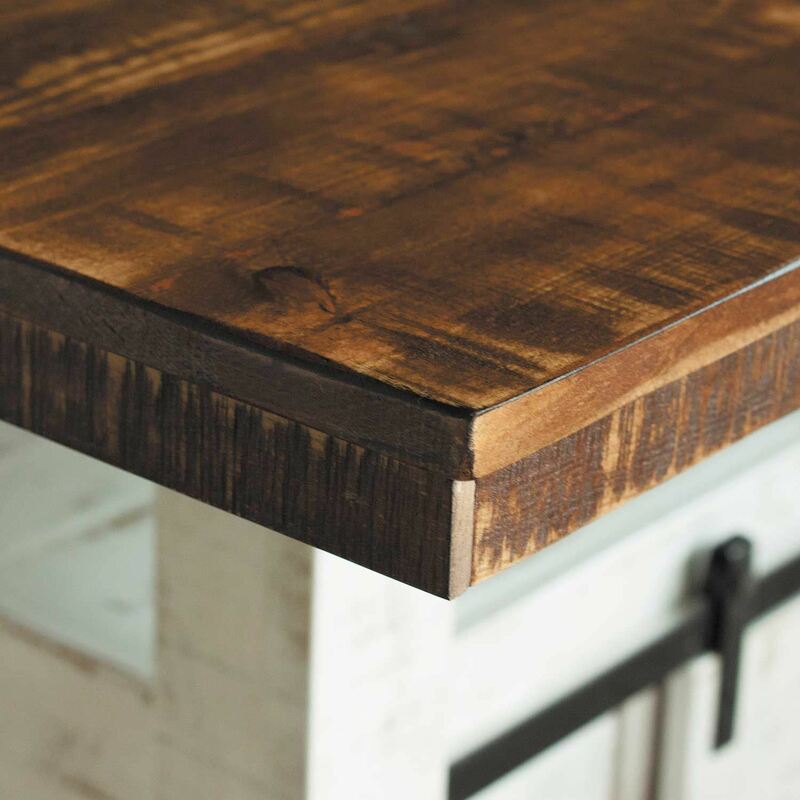 Floated panel construction on top. 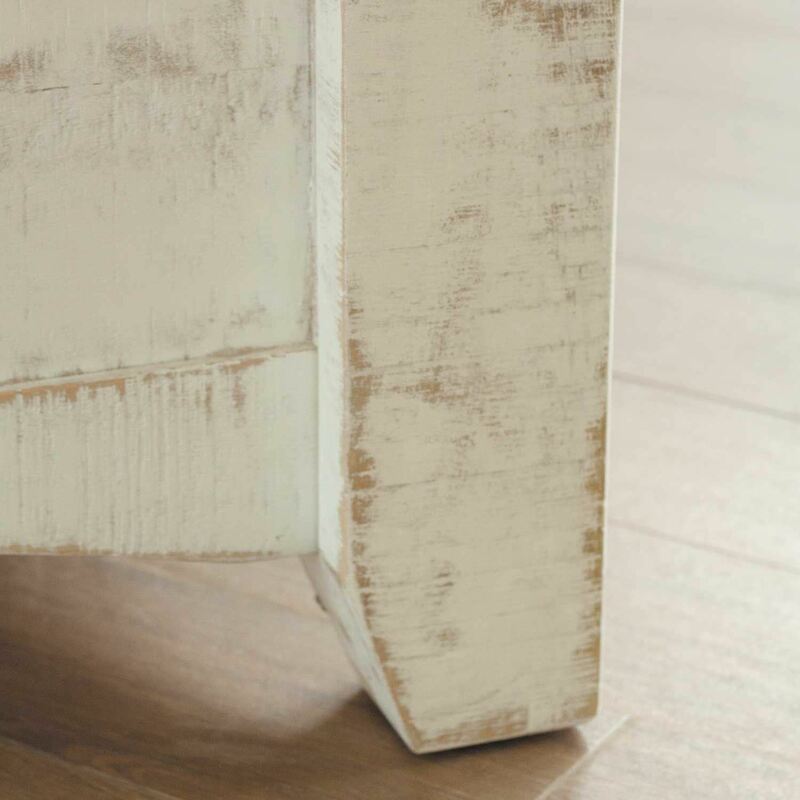 Rubbed-white lacquer finish with distressed, medium brown stained accents.